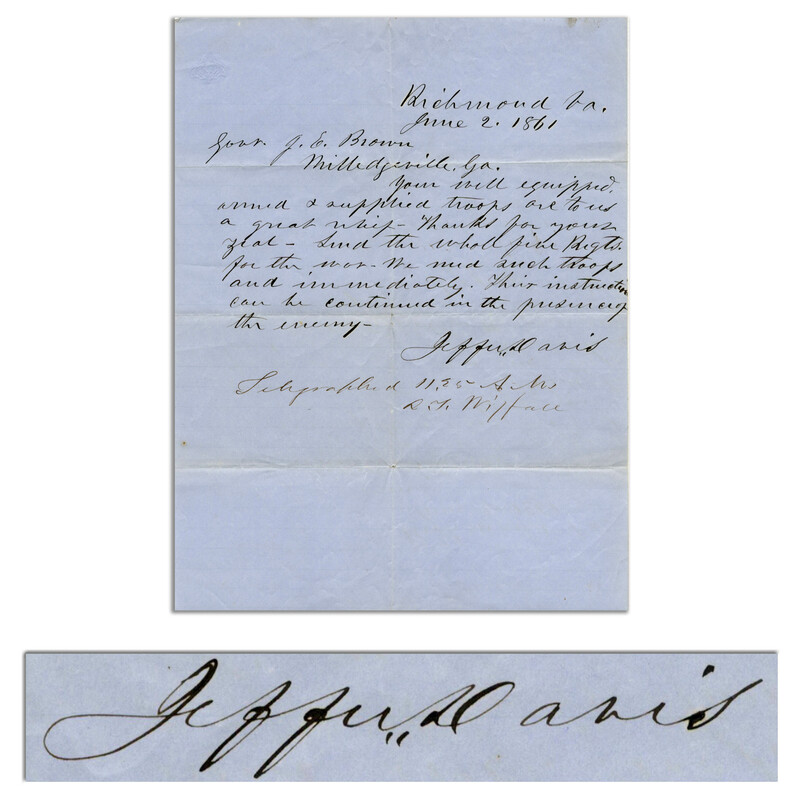 Important Jefferson Davis autograph letter signed, sent to the Governor of Georgia during the first months of the Civil War. 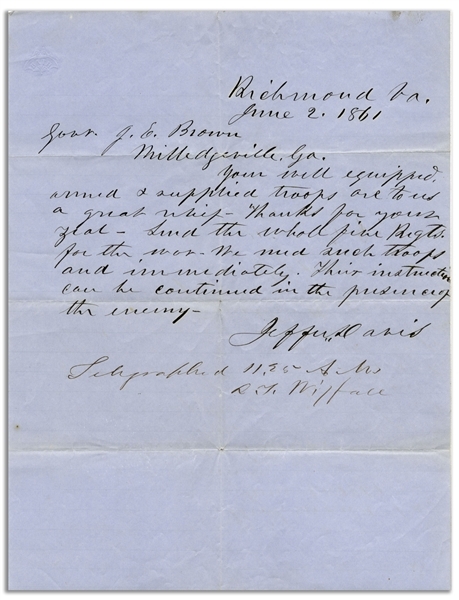 Dated 2 June 1861, Davis writes from Richmond, Virginia in full, ''Govn. J[oseph]. E. Brown / Milledgeville, Ga. / Your well equipped, armed & supplied troops are to us a great relief - Thanks for your zeal - Send the whole five Regts. for the war - We need such troops and immediately. Their instruction can be continued in the presence of the enemy - / Jeffer. Davis''. With notation below in the hand of General Louis Wigfall who, at the time, was serving as Davis' aide: ''Telegraphed 11:25 A.M / L. T. Wigfall''. Letter on light blue stationery measures 7.5'' x 9.75''. Folds and light creasing, else near fine. 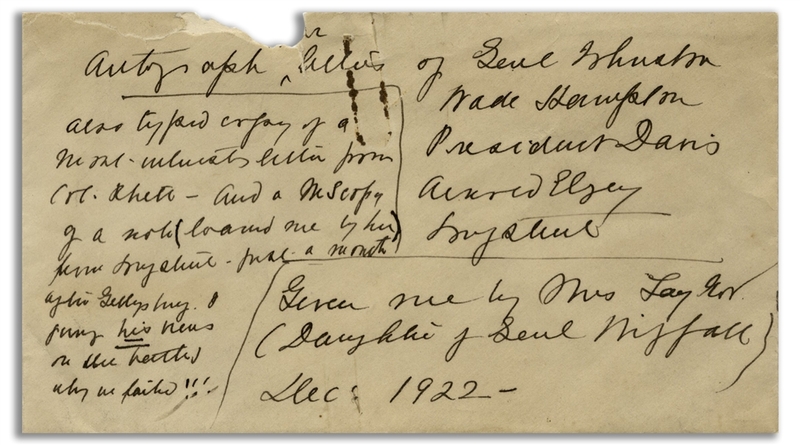 According to handwritten provenance, letter comes from the collection of Bessie Gresham, who acquired it from Mrs. Taylor, the daughter of General Wigfall.